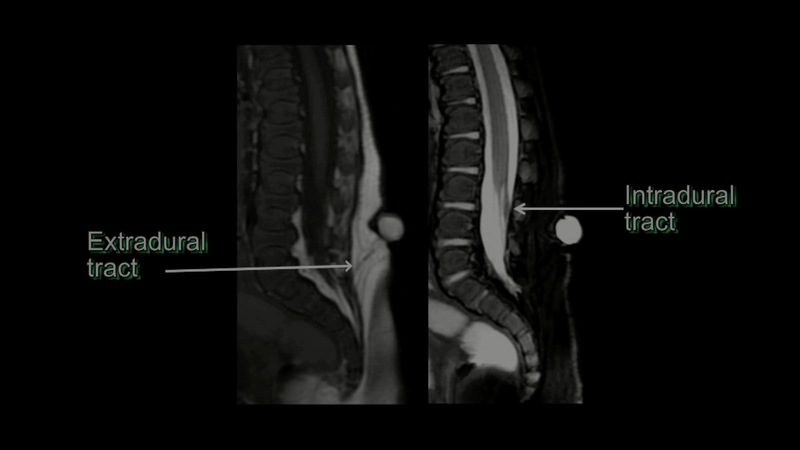 T2-weighted sagittal MRI of lumbosacral spine: Shown is tract in subcutaneous layers (left) and intramurally (right). 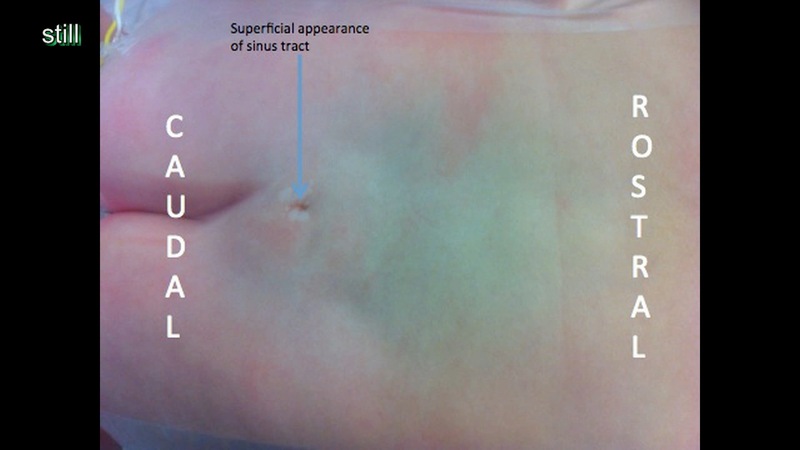 Cutaneous dimple of dermal sinus tract: Shown is the dimple of a dermal sinus tract just above the gluteal fold. The cutaneous dimple is removed by elliptically incising the dermal layer around it. The incision is then extended down to the spinal fascia taking care not to cut through the sinus tract. The spinous processes and lamina overlying the intramural portion of the dermal sinus tract are then exposed. The lamina can be freed from the lateral elements of the spine in a fashion that allows their reattachment at the time of wound closure. The dura is opened elliptically around the sinus tract and then extended rostrally to expose the length of the intramural component of the sinus tract. After the tract is removed the film terminale is sectioned. The dura is closed. The lamina can be reattached to the spine and the incision then is closed in the routine manner.